The WhiteCap Crawl Space System is a trusted line of crawl space products and shares the same network of trusted installers that we do. For more information on the WhiteCap Encapsulation process. When it comes to taking care of wet, humid, and moldy crawl space, the answer usually is encapsulation. When a crawl space is encapsulated, it is sealed off from the outside environment. This means that moisture, humidity, and unwanted critters won’t be able to get inside to cause problems. 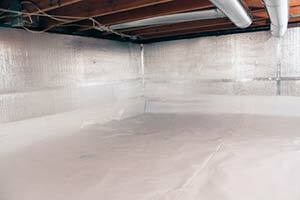 The encapsulation process differs from contractor to contractor, but typically, the process will involve the installation of some or all of the following products and systems: sump pumps, interior drainage systems, dehumidifiers, insulating materials, floor liners, vapor barriers, access doors, crawl space vent covers, and more. All of these products are specially designed with one goal in mind – keep moisture and humidity at bay so that it doesn’t get inside to cause problems. Homeowners must realize the importance of keeping this area of the home dry. It is likely not an area that is often thought about since it isn’t a room that is gone into each day. However, what happens here can have a huge influence on the rest of the home, and it can also cause a variety of health problems. Moisture and humidity problems here can eventually lead to wood rot below the home. This includes damage to wooden support beams and floor joists, and problems here can eventually cause issues for the structural integrity of the entire home. Furthermore, this rotting wood can also be very attractive to unwanted pests, including termites and roaches. Additionally, moisture here can lead to the growth of dangerous mold and mildew. These things can make individuals very sick. In fact, mold is a hazardous fungus which has been known to cause a variety of health problems, including: respiratory problems, asthma attacks, headaches, fatigue, skin rashes, eye irritation, allergies, cold/flu-like symptoms, and more. 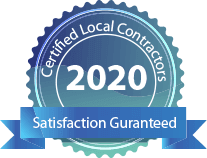 To find a local crawl space repair contractor in your hometown, fill out our online contact form and someone will be in touch with you shortly.